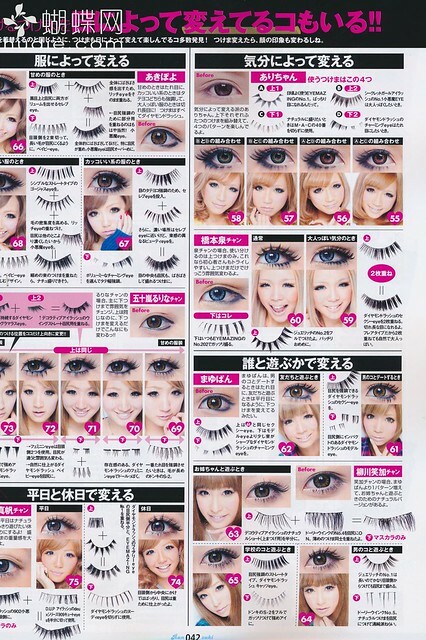 Hope you are all having a good start to your Mondays, I want to share with you this segment from (a Japanese magazine) called RANZUKI that I was reading. 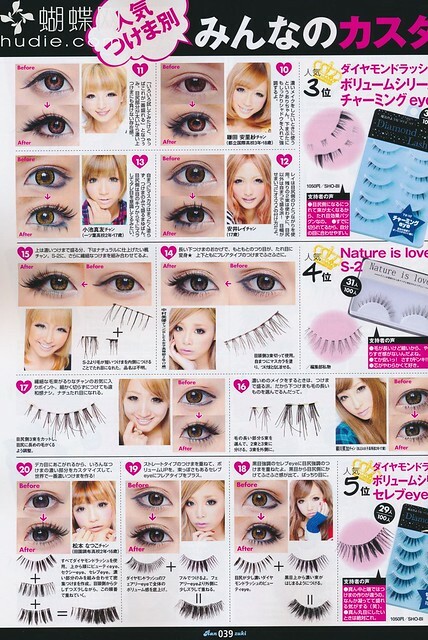 These girls sure know how to wear their lashes, though they are not "natural" by N. American standards...they are NOT supposed to be! I love how these girls fully embrace the transformation into whomever they want to be and wear what style they want. It's quite inspiring really! 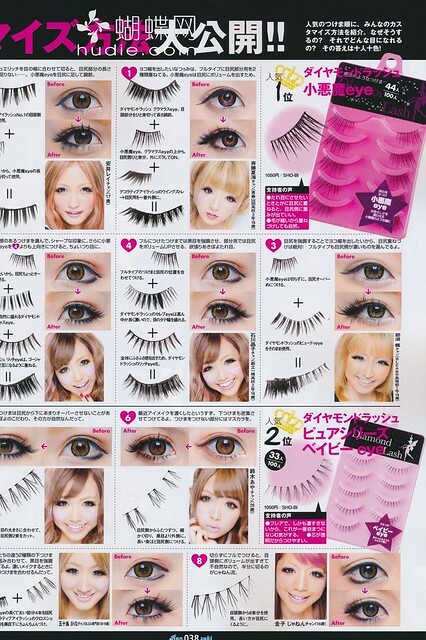 These Gals are experts at making a killer lash combo! 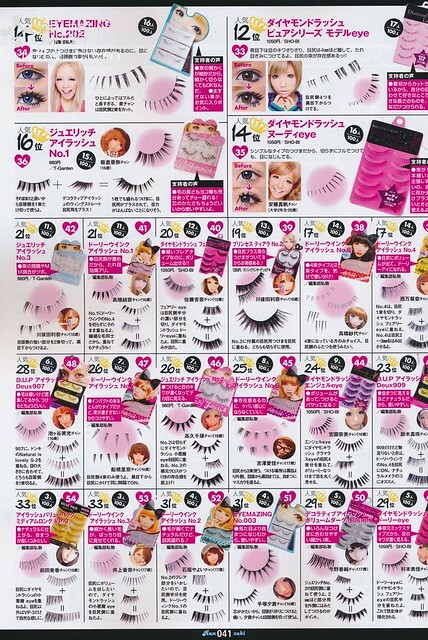 You see the big blue/pink/purple boxes of lashes that keep reappearing? 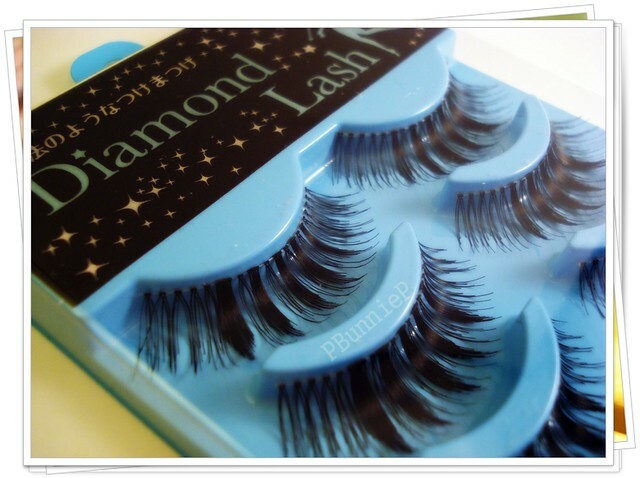 They are a popular brand call DIAMOND LASH. 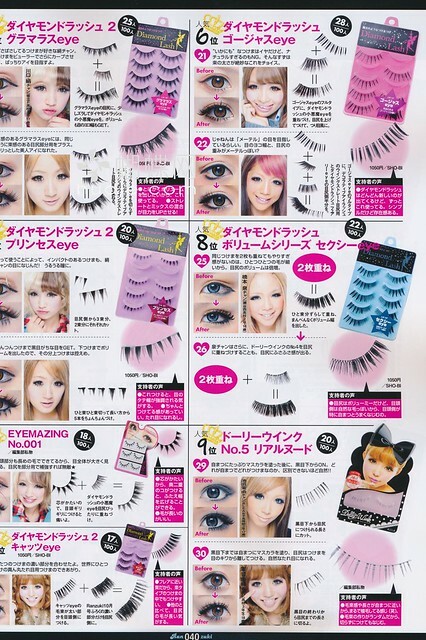 Lashes from DOLLYWINK and EYEMAZING are also very very popular! I FINALLY got my hands on box of DIAMOND LASHES! While I was still thinking whether or not to get them...THEY SOLD OUT! Of course the psychology of buyers say that as soon as its gone, then you MUST have them right? So I got them as soon as the store re-stocked.